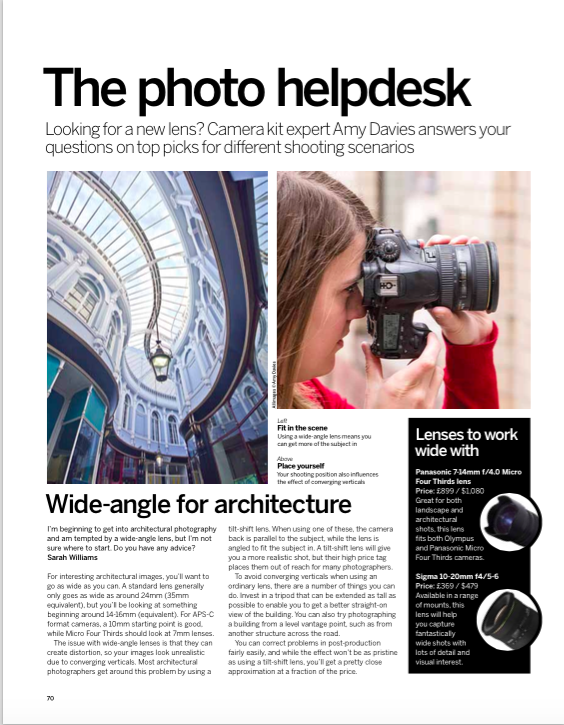 Available on sale at the time of writing this post (3rd November 2014), I was pleased to put together a helpdesk for readers of Digital Photographer magazine looking to buy a new lens. 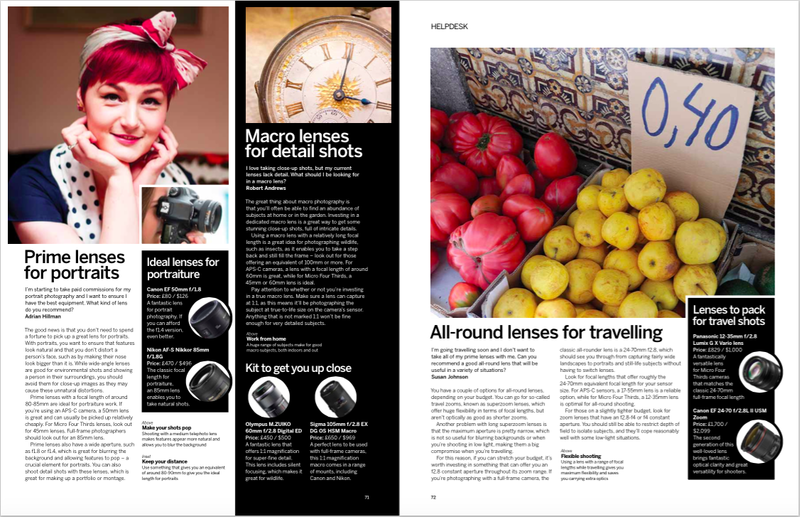 I provided all of the copy and images in this piece, as well as researching the best lenses to go with each type of scenario. Below you can see how the final spread looked in print.